The "Flame Nebula" is a reflection/emission type nebula in the Orion nebula structure. It is approximately 1600 light years from Earth. 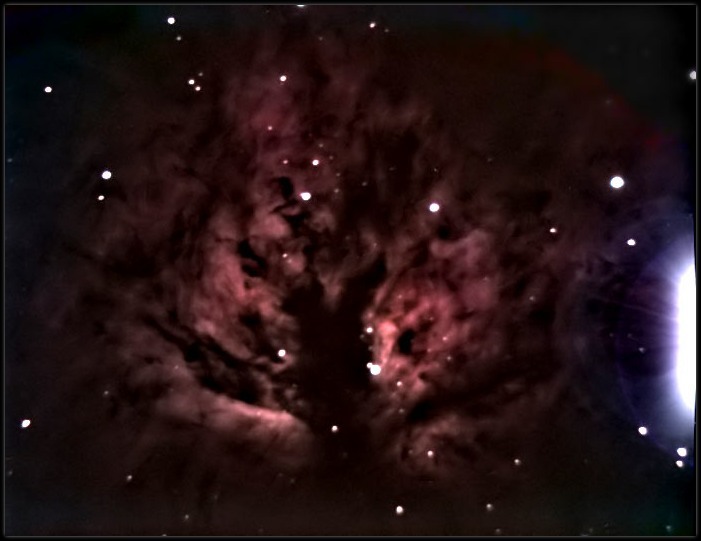 Image acquired using Starlight Xpress Mx-7 camera through 8" Meade Lx-200Gps telescope with Meade .33x reducer. 60 minutes of total Exposure time.